•	Synchronization of resets, new department planning and implementation with sales and service staff. •	Dedicated in-house and field staff are assigned to handle all aspects of the project. •	Just in time new item ordering and fixture orders at chain level and store level. L&R takes resets to a whole new level, using the latest technology, proven processes and our highly trained teams of reset experts to deliver a better shopping experience. 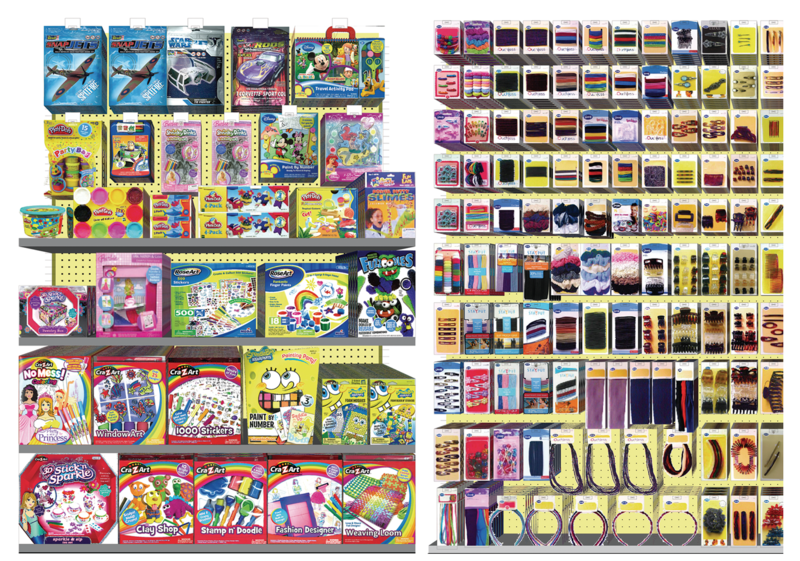 Our reset teams are trained to maximize every square inch of shelf space to generate maximum ROI. If we find any mistakes from previous resets, they are addressed and resolved during L&R’s first reset visit. Dedicated in-house and field staff are assigned to handle all aspects of the project. We never spread out the merchandise to cover up gaps. We handle synchronization of resets, new department planning and implementation with sales and service staff. Missing or damaged fixture parts are replaced. We have just-in-time new item ordering and fixture orders at chain level and store level. Reset reporting tracks all elements of the process such as start date, finish date, days to complete, fixture status, tag status, and much more. Replacement racks are shipped through L&R distribution centers to ensure delivery and reset completion by our in-store merchandising teams. Replacement parts are shipped with everyday orders. Our planogram service allows retailers to merchandise items appropriately and in accordance with their needs. L&R maintains a full library of planograms for the convenience of our customers, as well as offers the ability to create a custom planogram. Our team of experienced category managers and analysts are constantly updating and maintaining the most state-of-the-art planograms, with the ability to revise your planogram with new, top-selling items as they arrive.